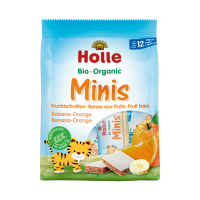 Your little one will love Holle’s new Organic Biscuits and you’ll love them too, because they are made solely from wholesome and healthy organic ingredients. 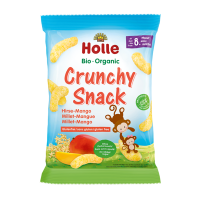 Sweetened only with fruit juices and containing no added salt, these mild tasting Pear-Apple biscuits come in three cheerful, slim animal shapes, perfect for small hands to hold. 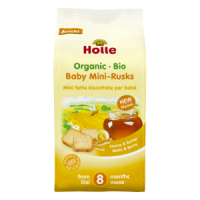 The freshness packets make them ideal to pop in your handbag or nappy bag when you are out and about. 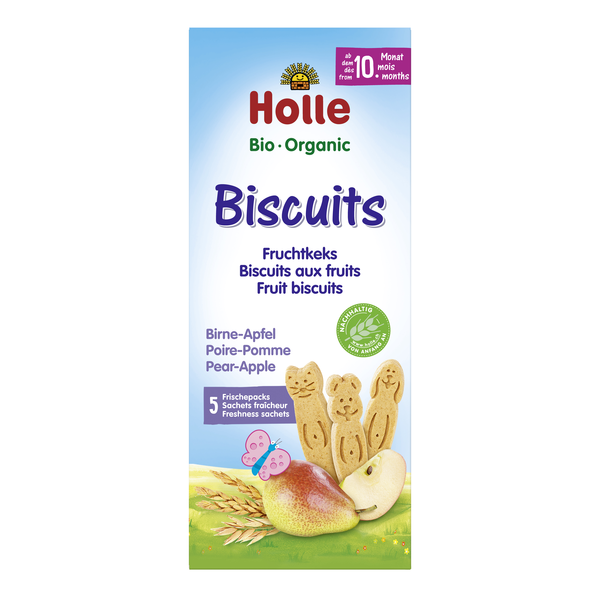 Only carefully selected organic ingredients are used to make Holle Organic Biscuits. Contains gluten. May contain traces of nuts, peanuts, egg, sesame, soy and milk. They are easy to hold and melt in the mouth. I have already ordered more. A good satiating, energy boosting snack. My three and a half year old loves them. 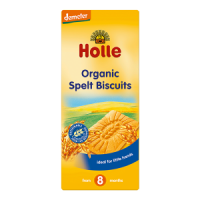 A guilt free biscuit thanks to minimal ingredients definitely commendable to parents who are always asked for food on the go!! 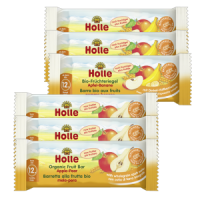 Perfect for days out, and so tasty that even the older children and adults in the family snack on these. Fantastic crumbly biscuits. Perfect pack size to take on a day out or eat at home. My daughter loves them as a snack with some milk. Such a cute shaped biscuits, fun to give to little one, small and easy to hold with her tiny hands. Tasty as well. These were very handy as they came in packets of 5 so they were able to maintain their freshness. My son liked these but wasn't crazy about them.